Canadian winters make my skin feel dry and dull and in need of some major exfoliation and regeneration! 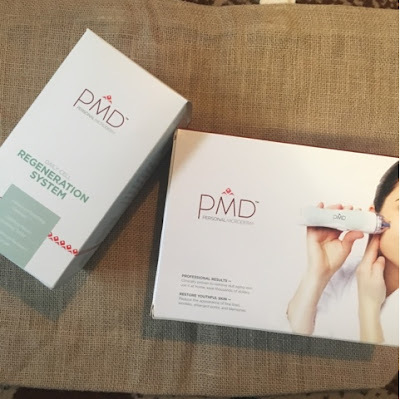 Rather than going to a salon or spa for an expensive microdermabrasion treatment I found a way to get the same results at home, using the PMD Personal Microderm with Regeneration System and Recovery Mask. The system helps fight the the appearance of fine lines and wrinkles, blemishes, and those awful enlarged pores. The Personal Microderm is a revolutionary at-home skincare system that provided brilliant results as professional, salon microdermabrasion treatment. 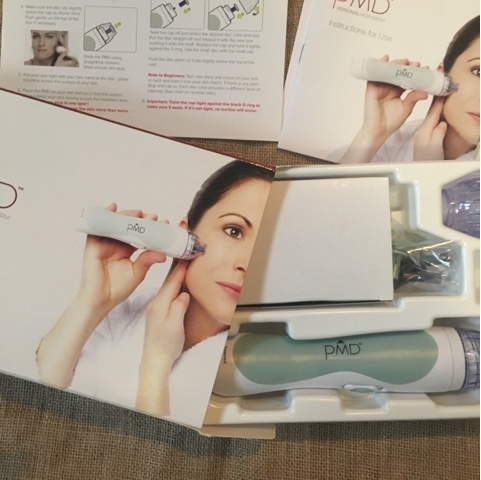 I have been using the PDM once a week for the last two weeks and my skin feels great. Its is amazing how clearer, softer skin increases my confidence. After using it the first time I noticed that my skin looked refreshed and glowing. Dry patches of skin were removed, leaving my skin feeling smoother but without feeling harsh. My PDM system came with the brand new and amazing "PMD Recovery Mask". This sheet mask is specially formulated to help your skin heal and regenerate after a microdermabrasion treatment, and it will supercharge your results. Ever since I introduced the PMD in to my weekly skincare routine, I've noticed all my that my face creams, including the mask have been nourishing my skin far better than they had been previously, since that dead, dull skin cell barrier has been removed. The PMD Personal Microderm with Regeneration System and Recovery Mask took my skin from feeling dull and unhealthy to healthy and glowing skin. You can start enjoying healthier skin with 30% off this holiday season, just use code PMDfam.